What Is the RRR and Why Does It Make Chinese Stocks Go Up? Last Friday China tried to pour some cold water over its stock market bubble. After a 5 percent crash in after-hours future trading the Chinese regime reversed course and shifted its gears to stimulate again. So after stock futures crashed on Friday and property developer Kaisa got in trouble over the weekend, the regime thought enough is enough and wielded its most powerful weapon to stimulate the economy, the RRR. Unfortunately, it doesn’t get any better at spelling things out, as RRR stand for reserve requirement ratio. In simple terms, it is the money banks have to hold as cash reserves in their vaults or at the central bank. The higher the ratio, the less money banks can dish out in the form of loans to businesses (and pretty much everybody else). 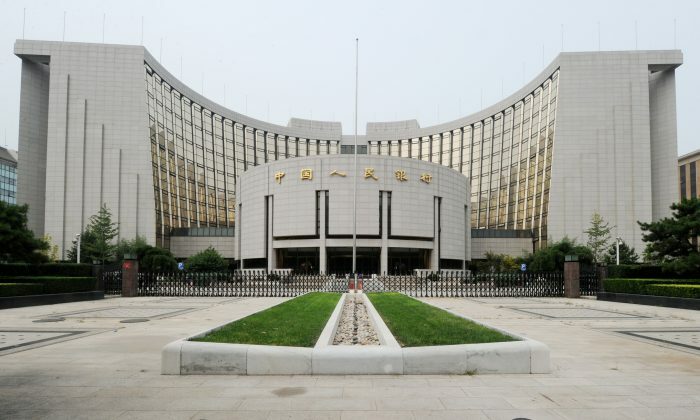 Let’s say China Merchant Bank has $100 in cash in their vaults and in electronic reserves at the central bank. If the reserve ratio is 10 percent, it can loan out $1,000. If the reserve ratio is 20 percent, it could only loan out $500. Since it’s bank loans, which make the Chinese economy go round, the regime cut the RRR by 1 percent to 18.5 percent on Sunday, the largest cut since the dark days of 2008. This means banks can now loan out $200 billion more with their existing reserves, money the regime hopes will go into real estate loans above all. Recently, however, real estate has been on the decline and Chinese people have been more interested in the ever rising stock prices. Since the central bank and the regime cannot determine exactly where the loans end up, a lot of them have been made in the form of margin loans to stock speculators rather than mortgage loans to home owners. Speculating with debt often creates these types of feedback loops: Lower home prices scare away leveraged buyers and for some people to sell because they are under water with their mortgages, which leads to lower prices. The converse is true for the stock market—until it isn’t.